THAT’S SO 80s! 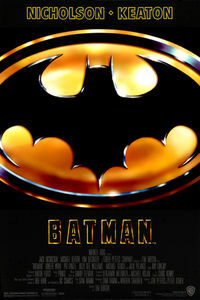 takes a nostalgic trip down VHS memory lane, remembering some of the cheesiest movies from one of the cheesiest decades. Fellow movie connoisseur MOVIEROB joins forces with SLIP/THROUGH for a semi-regular column highlighting some of the best scenes (and fashion choices) of the era. 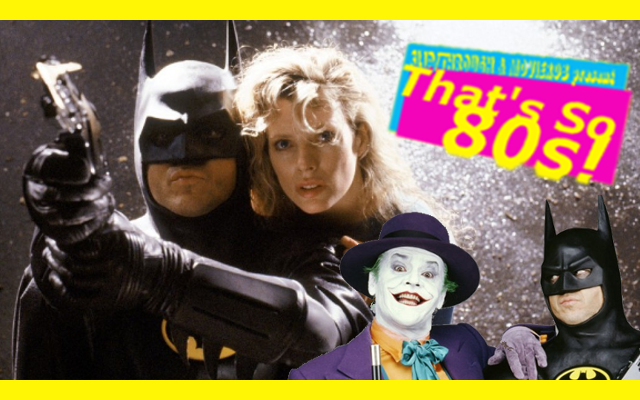 This edition of That’s so 80s gets dark and comic booky with the original Tim Burton BATMAN flick from 1989. Superhero movies owe a debt of gratitude to this adult toned serious approach to the roll-your-eyes-man-in-underwear genre. Rob and Dan breakdown what they love about this retro gem, from the 80s fashion to the 80s sensibilities. Enjoy your THROWBACK THURSDAY! And Stay Rad!